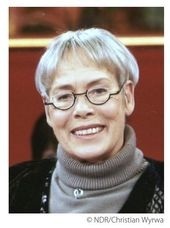 Prof. Dr. Margrit Kennedy is an architect with a Masters Degree in Urban and Regional Planning and a Ph.D. in Public and International Affairs, who worked for UNESCO and OECD and was a professor for Ecological Building Technologies in the Department of Architecture at the University of Hanover. Projects in ecological architecture for the International Building Exhibition Berlin in 1987 led her to the discovery that it is virtually impossible to carry out sound ecological concepts on the scale required today without fundamentally altering the present money system or creating new complementary currencies. In her two books Interest and Inflation Free Money (1987 - translated into 23 languages since) and Occupy Money (2012) she explores the systemic problems of the present system and the advantages of using new complementary monetary designs. 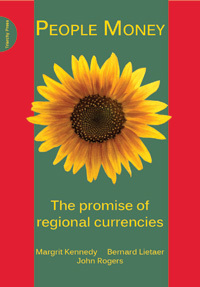 Her work in this field has been instrumental for the start of more than 60 regional currency initiatives in the German speaking parts of Europe.